Champion (translated title), the latest project from Warner Bros. Korea following The Age of Shadows (2016) and A Single Rider (2016), has completed its casting and started filming. “Champion began production on October 9th after confirming its main cast which includes Don LEE (aka MA Dong-seok), HAN Ye-ri and GWON Yool.” Announced the film’s distributor Warner Bros. Korea via a press release along with production company Coconu on October 11th. Champion will be the first arm-wrestling movie in Korea. The film will depict the challenges faced by Mark (Don LEE) a legendary arm wrestler who has powerful arms. Meanwhile, Jin-gi (GWON Yool) is a man who dreams of turning his life around through Mark and Mark’s younger sister Soo-jin (HAN Ye-ri) who unexpectedly appears with her children. 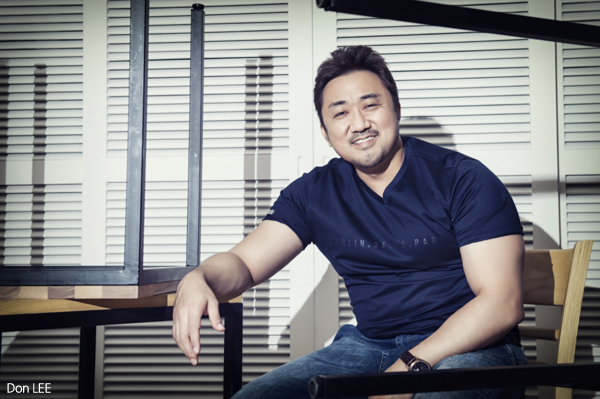 Arm wrestler Mark will be played by Don LEE, who has starred in top-grossing films TRAIN TO BUSAN (2016) and THE OUTLAWS while Jin-gi, Mark’s small-time promoter, will be performed by GWON Yool, who played the son of Admiral YI Sun-shin in Roaring Currents (2014). HAN Ye-ri who has recently been seen in indie and commercial films including As One (2012), LOVE GUIDE FOR DUMPEES (2015) and The Table (2017), will take on the role of Soo-jin who appears as a single mother in front of her biological brother Mark after 30 years. The sports drama is the feature film debut for director KIM Yong-wan who was invited to the International Competition category of the 35th Clermont-Ferrand International Short Film Festival for his short Intervention (2011) and to the Wide Angle category of the 18th Busan International Film Festival (BIFF) for Daytime Moon (2013). Champion is shooting for a 2018 release.